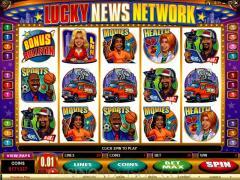 Lucky News Network is a video slot game designed by Microgaming, the recognized leader in online casino software. .It is a media-related theme, with reporters on sports, money, health, weather and traffic, which represents, for the most part, the symbols used in the game. This is a five-reel game, with twenty paylines, and a maximum bet of 400 coins. There is a wild, a scatter and a bonus game. The wild symbol in this game is the Lucky News Network logo, which can be used to complete all winning combinations. 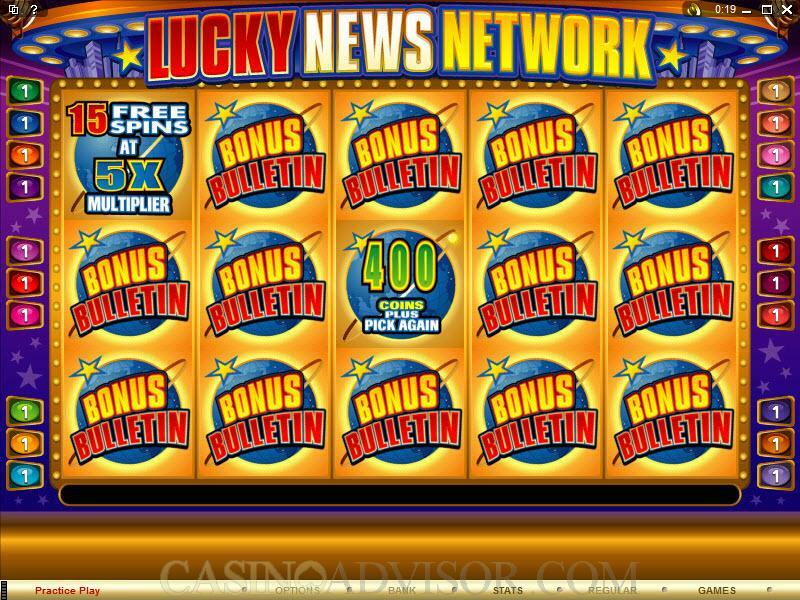 It can create a winning combination all by itself; in fact, five Lucky News Network logos in an enabled payline will bring a jackpot of 2000 coins. The scatter symbol in this game is the Bonus Bulletin symbol. When a symbol is a "scatter," that means that three or more of them can be anywhere on the reels and constitute a winning combination. 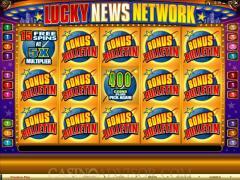 In the case of Lucky News Network, what happens is that when the scatter appears on both Reel #1 and Reel #5, it activates the Bonus Bulletin game, which can bring free spins or random bonuses. Scatters themselves can also offer a separate payout if three, four or five of them are scattered anywhere on the five reels. The maximum wager on this game is 400 coins. The coin size can be adjusted between any of the incremental levels, from .01 all the way up to .25. You can also make adjustments to the number of paylines that are enabled for play, keeping in mind that winning combinations will not pay out unless they are on a payline that you have enabled. 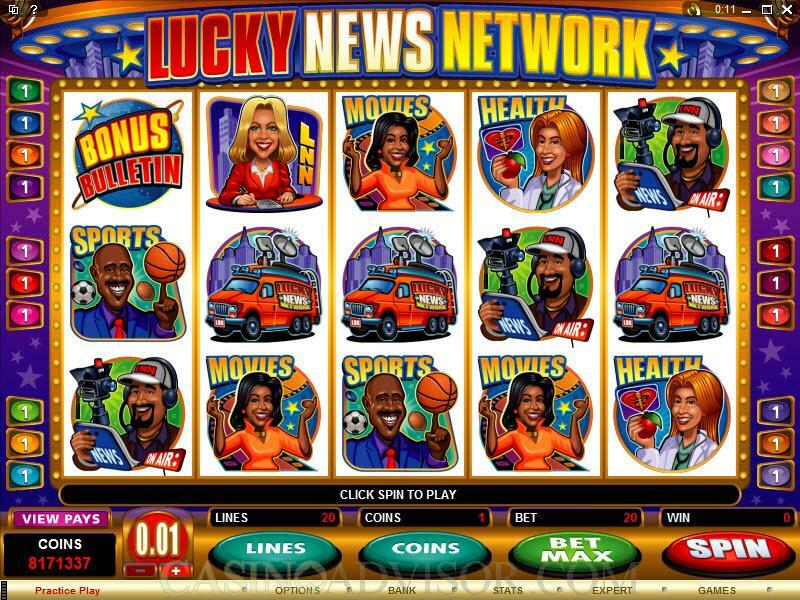 Interested in reading more detailed information about Lucky News Network? If so Click Here for more details.